← Will God forgive me if I plan to abort my baby? 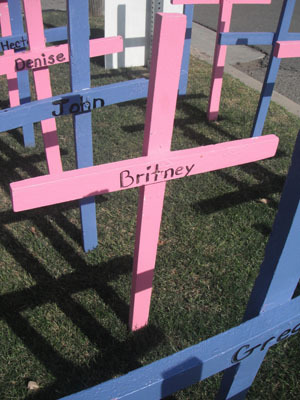 A news report last night on KGET TV-17 focused on how a 14-year-old girl was allegedly traumatized when Terri told her that she was naming her baby “Britney” and put up a cross in memory of her baby. The true scandal, however, was that this girl told Terri that her father was forcing her to abort her baby, and that Bakersfield Police came out to talk to the girl’s father but apparently took no action. For those who saw the report and want to know the other side, here is Terri’s report on what really happened.